The antimicrobial range of copper grab rails have the most effective contact material to combat the spread of germs. No other material reaches this level of performance. 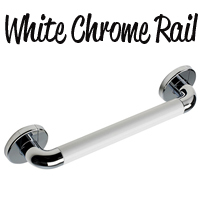 This White Chrome Grab Bar is ideal for modern, contemporary bathrooms and domestic settings which require that look of luxury. 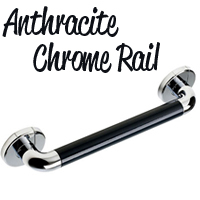 A popular seller the black chrome curved grab rail brings that stylish edge to the bathroom, shower wetroom. Looking for something a bit different ? 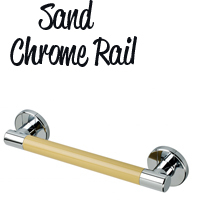 Look no further with the luxury curved grab rail in a sand finish brings that modern feel. 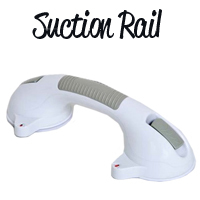 Ideal for commercial settings and people with visual impairments. Bold, bright, easy to see and easy to grip. 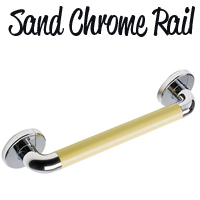 The straight grab bars are popular sellers and they come in a range of colours suitable to your needs. 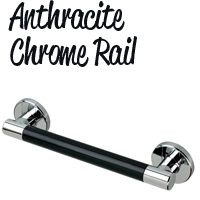 Ideal for wetrooms in a domestic house and commercial applications. 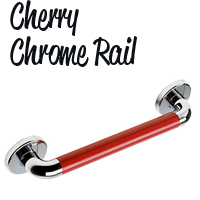 A bold, brightly coloured grab rail that is easy to focus on and is perfect for mobility environment. 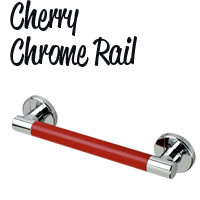 Our straight chrome grab bars are perfect for domestic and commercial applications and come in a range of colours. They come in a fantastic colour selection and are ideal for restaurants, hotels, businesses, public facilities or even in your home. Modern and refreshing! 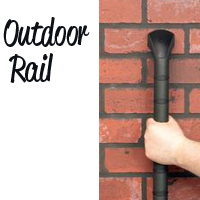 Grab Rails X 2 - Plastic Fluted 300mm. Easy grip grab rail that is in white and not cold to touch. 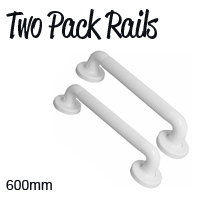 Grab Rails - X 2 In White Steel 300mm. 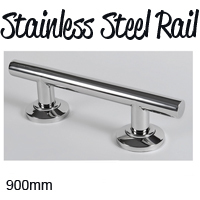 25mm thick tube - Ideal for domestic solutions. 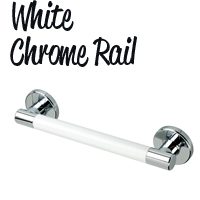 Grab Rails - X 2 In White Steel 450mm. 25mm thick tube - Ideal for domestic solutions. 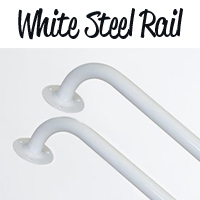 Grab Rails - X 2 In White Steel 600mm. 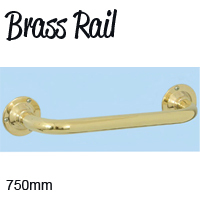 25mm thick tube - Ideal for domestic solutions. Grab Rail - Our wide and extensive range of grab rails give you plenty of options and choices to suit your needs. 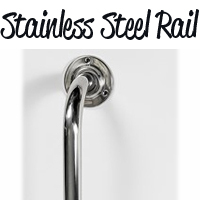 Plastic fluted grab rails are a popular range for your home and for commercial areas and steel grab rails are popular for doc m packs, businesses, public washrooms and bathrooms. 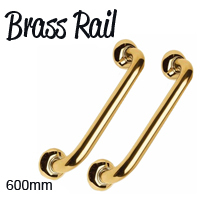 Some grab rails are made with easy grips and others are made so that they are not cold to touch. 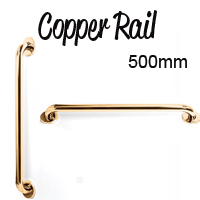 A wide collection of grab rails in many different sizes and colours.